We are not afraid to fight the difficult cases to protect our clients. We have protected thousands of clients in all types of cases and situations. We care about our clients and pride ourselves on keeping the client informed at each step. From the moment you first contact our office to the moment the case is completed we work hard to protect you. Here are just some of the types of cases we handle. When you are arrested or charged with a criminal offense you could be facing one of the scariest and most intimidating experiences of your life. This is why it is important to have a strong criminal defense attorney to stand up and fight for you. A criminal conviction can result in spending time in jail and can impact your life well into the future. We have handled thousands of criminal cases including jury trials with great success throughout Dayton and surrounding areas. We pride ourselves with keeping you informed of what is going on with your case and helping our clients deal with the anxiety of their individual situation. Don’t trust your future to anyone other than the experienced attorneys at Beck Law Office, LLC. For a free initial consultation contact us at (937) 426-4000. When you are arrested or charged with an alcohol related traffic offense such as OVI or DUI you could be facing one of the scariest and most intimidating experiences of your life. This is why it is important to have a strong criminal defense attorney to stand up and fight for you. An OVI/DUI conviction can result in you losing your ability to drive, losing your job, spending time in jail and can cost you thousands of dollars. We have handled hundreds of OVI cases including jury trials with great success throughout Dayton and surrounding areas. Attorney Beck has the same certification as law enforcement in Standardized Field Sobriety Testing. Don’t trust your future to anyone other than the experienced attorneys at Beck Law Office, LLC. For a free initial consultation contact us at (937) 426-4000. Starting and running a business can be one of the most exciting and scary moments in your life. It is important for anyone who owns a business to have a good attorney. Failure to set up and handle the business properly can impact your personal assets and liability. We have helped clients start and run their own businesses for over ten years. We handle everything from starting a business with the State of Ohio to drafting and reviewing contracts to mergers and acquisitions. We also have experience in employment law, civil rights, and a multitude of law suits. Beck Law Office has a great deal of trial experience in all types of litigation which helps us protect the rights of the businesses we represent. Call us today at (937)426-4000 to schedule a free initial consultation. Setting up a proper estate plan can help your family deal with a difficult time after the loss of a loved one. Our experienced staff can assist you with making sure your assets and children are protected eliminating some of the bumps that can slow down the estate administration process. We can help you save you thousands of dollars in administration costs and taxes with a proper estate plan. If you are dealing with the passing of a loved one we can also assist you with probating their estate to protect you from liability as well. Call us today at (937)426-4000 to schedule a free initial consultation. Going through a divorce or custody battle is one of the emotional times in your life. A divorce and custody case can result in lost time with your children, the loss of thousands of dollars in support such as alimony and child support, loss of value of assets, and can even impact your retirement. It is important for anyone going through this sensitive stage to seek the advice of an experienced attorney to help protect your rights. We pride ourselves with helping our clients through this emotional time and fighting hard to protect your rights. Call us today at (937)426-4000 to schedule a free initial consultation. Even minor traffic offenses can affect your life in many ways. Often times a court could suspend your ability to operate a motor vehicle which could result in missed work, missed opportunities, and even the loss of a job. The cost of even a minor traffic ticket can total into the thousands due to increased insurance premiums and reinstatement fees. We have handled thousands of traffic cases throughout the state of Ohio and are prepared to help protect your rights in court. When a minor is arrested or charged with a criminal or delinquency offense, as the parent, you often have no idea where to turn or what to do. This is why it is important to have a strong criminal defense attorney to stand up and fight for you and your child. We have handled hundreds of juvenile cases including trials with great success throughout the Dayton and surrounding areas. We pride ourselves with keeping you informed of what is going on with your case and helping our clients deal with the anxiety of their individual situation. Don’t trust your child’s future to anyone other than the experienced attorneys at Beck Law Office, LLC. For a free initial consultation contact us at (937)426-4000. Beck Law Office and it’s staff greatly appreciates all of the men and women who serve in our armed forces. Attorney Beck is one of the few civilian attorneys in the country that has experience with Court Martials, Letters of Reprimand, and Article 15 proceedings. You have a right to counsel in all of these proceedings. Military punishment can result in loss of rank, a reduction or loss in pay, denial of promotion, discharge from the military, and even jail. For a free initial consultation contact us at (937)426-4000. 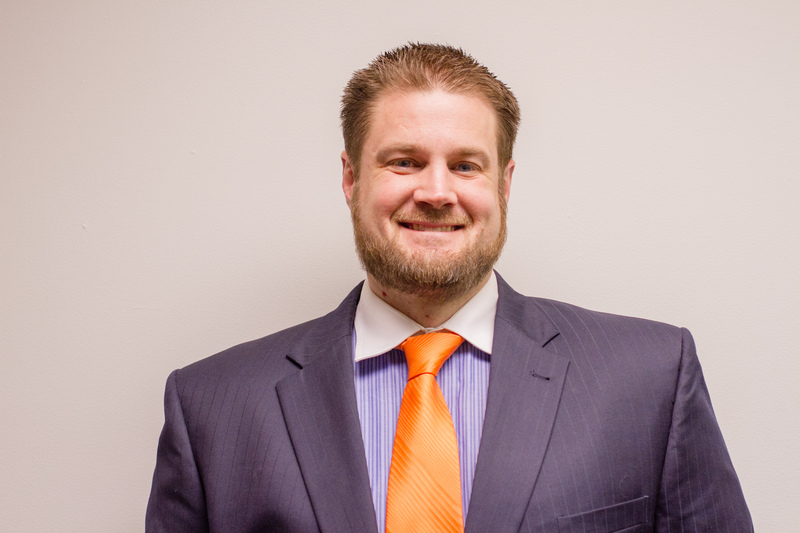 Attorney Chris Beck believes in the justice system and strives to maintain excellent client relationships and trust. Chris was born and raised in Lima, Ohio and graduated from Bath High School in 1999. After High School, Chris moved to the Dayton area to attend Wright State University earning a degree in Music Education. He then relocated to Lansing, Michigan to attend law school at Thomas M. Cooley Law School where he successfully completed a three year law degree program in two years. While in Law School, Chris earned the highest grade in his Evidence class and focused on building his skills to become a successful trial attorney. It was at Thomas M. Cooley Law School where Chris received his first taste of trial work and he has been hooked ever since. During his last semester of law school, Attorney Beck completed an internship with the Wright Patterson Air Force Base Judge Advocate General (JAG). Chris was admitted to the Ohio Supreme Court in 2007. He began his legal career with Brezine Law Office in Fairborn, Ohio in 2007 and resigned his position in 2011 to open Beck Law Office, LLC. Chris has built the firm around providing the best customer service and legal expertise as well as giving back to the Beavercreek and Dayton area through his work with various non-profit and charitable groups such as Dayton History/Carillon Park, the Beavercreek Chamber of Commerce, Springboro Chamber of Commerce, Dayton Inspires and many more. Chris has sponsored numerous events for the Beavercreek Schools, Juvenile Diabetes Research Foundation, Dayton History, and many other organizations. Chris has served on the Board of the Beavercreek Chamber of Commerce, Bell Board at Carillon Park, and in many positions for the Greene County Bar Association including president in 2016. Chris is a proud member of the Ohio Association of Criminal Defense Attorneys and often teaches continuing education courses for attorneys. Chris currently resides in Beavercreek with his wife, Jennifer, and their two kids, McKenna and Kellan and their dog, Dakota. Jennifer (Mukai) Beck was born and raised in Beavercreek, Ohio. She attended Main Elementary, Ferguson Jr. High and Beavercreek High School before graduating in 1999. After attending Miami University for a year, she transferred back home to Wright State University where she completed her bachelor’s degree in Music Education in 2003 and met her future husband, Chris Beck. While Chris went to Lansing, Michigan to begin law school, Jennifer accepted a position to teach 5th - 8th grade music and chorus for the Vandalia-Butler City Schools, meanwhile staying involved in the Beavercreek community by volunteering to help coach the junior varsity softball team at Beavercreek High School. Jennifer and Chris were married in December of 2006 and had their daughter, McKenna in April of 2009. After nine years with Vandalia-Butler, due to budget constraints, Jennifer’s teaching position was eliminated, however, it was also during the same time that Chris was thinking of expanding his business. 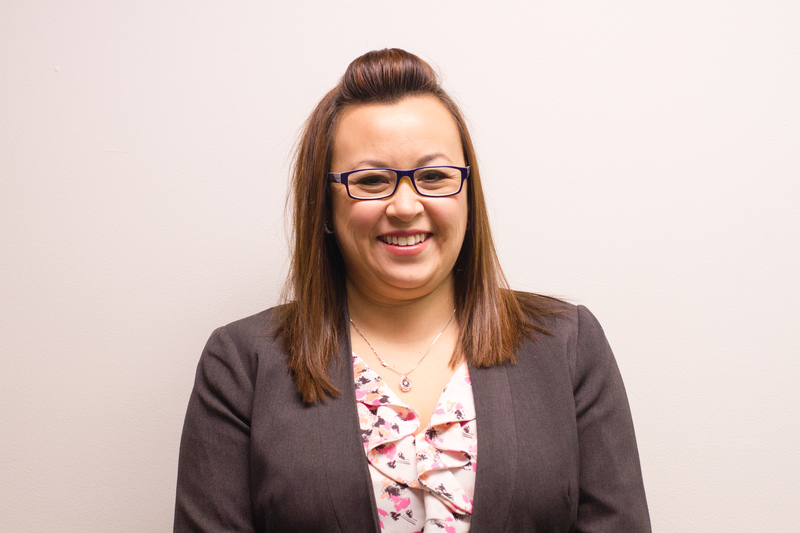 Jennifer accepted the position as office manager/bookkeeper with Beck Law Office in the fall of 2013 but was able to take some time off to welcome their son, Kellan in November. She now is enjoying her new part-time position in their family-run business and definitely revels in the extra time she gets to spend with McKenna and Kellan. She and Chris reside in Beavercreek. Staying involved in the community so we stay involved with what’s important to you. LOOKING FOR LOCAL WEBSITES FOR COURTS, POLICE DEPARTMENTS & LEGAL RESOURCES? CURIOUS TO SEE WHAT WE’RE INTO? GET TO KNOW US THROUGH OUR FAVORITE SITES.